Those of you who listen to Blogcastfm know that one of the characteristics that successful blogs share is that the writer builds up some good relationships with their followers. I set out to do this but things have been rather busy of late and I have not been able to give you all the attention you deserve for following my blog. I will get onto it, but in the mean time, I'd just thought I'd say hello and that I'm still thinking of you all and thank you for your attention and comments (especially comments; I like comments and will start replying to them soon. Thanks to BilliamBabble for giving me a lot of comments) I hope you're getting as much out of reading this blog as I am writing it. 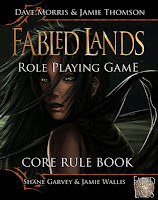 I'd also like to give a shout out to Shane Garvey whose great blog with Fabled Lands Previews seems to be where a lot of my readers are linking from at the moment. I also didn't get round to entering the One Page Dungeon Competition, but I'm enjoying looking at the maps. 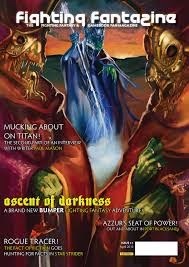 I have been perusing the blogosphere and I have found some good gamebook related stuff from Tunnels and Trolls blogs. I like the retro presentation and system of Tunnels and Trolls. It gives me comfort. 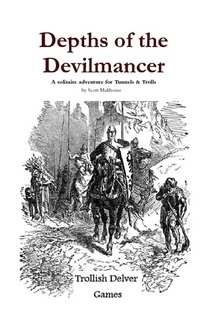 As well as being an RPG, Tunnels and Trolls produces a lot of solo gamebooks and there are several Tunnels and Trolls blogs out there. First of all, Scott Malthouse has produced his own Solo, Depths of the Devilmancer. I have ordered it and need to give it a good play through. Since Tunnels and Trolls has a lot of solo adventures, people have written a lot about writing these solos well. First is H'rrrothgarrr's Hovel which has a good post about writing a solo book. Another Tunnels and Trolls blog devoted entirely to solo adventures is The Lone Delver which has posts devoted entirely to Tunnels and Trolls solos. I'm particularly enjoying the Solo design series which now has eight parts. 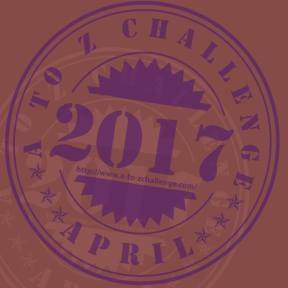 If you fancy writing a Tunnels and Trolls solo adventure, the submission guidelines are here. 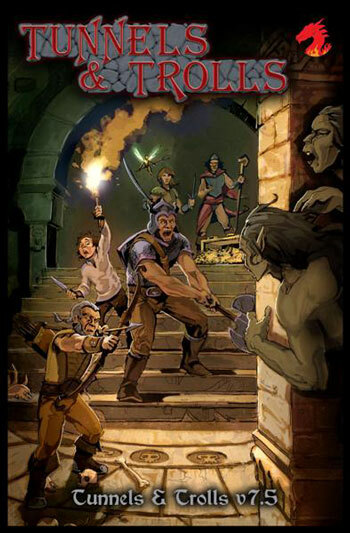 If you are a new or old reader, please carry on - I appreciate it immensely and hopefully, I'll get round to writing some more gamebooks. I'd like to release a micro adventure every month, but that won't happen until September as I'll be writing them over the summer just like I'll be writing my entry for the Windhammer Competition. Ooh ... 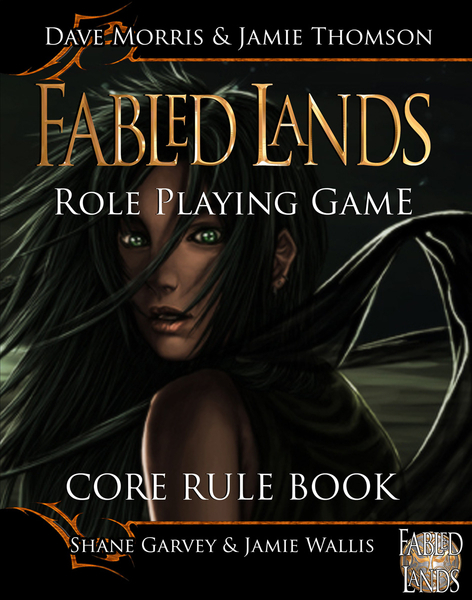 Fabled Lands RPG ... Shane's been busy!